‘Too ravishing for mortal taste . . . like lovers’ kisses she biteth – she is a pleasure bordering on pain, from fierceness and insanity of her relish’, the poet Charles Lamb wrote of the pineapple, the fruit that seduced the world. From the moment Christopher Columbus encountered it in 1493, the pineapple became an object of desire: the first New World explorers thought it must be the fruit with which Eve tempted Adam. The fruit was first transported to Europe, where it could only be grown at great expense in hothouses. The pineapple was the ultimate status symbol – London society hostesses would even pay extravagantly to rent a pineapple for a single evening to be the centrepiece of a party. Beloved by George Washington, a favourite of kings and aristocrats, the pineapple quickly achieved an elite status among fruits that it retains today. It remained a seasonal luxury for the rich until developments in shipping and refrigeration allowed it to be brought to the major markets in Europe and America. Today, canning processes – and the discovery of the pineapple’s ideal home in Hawaii – have made it available and affordable throughout the year. 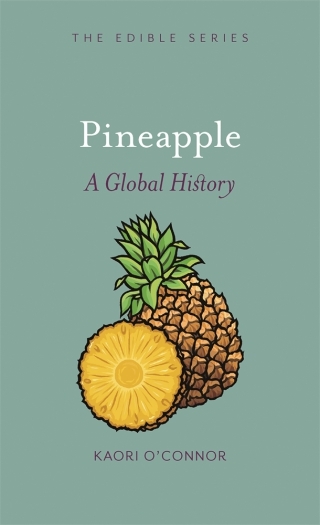 Packed with vivid illustrations and irresistible recipes from around the world, Pineapple follows the world’s culinary romance with this exotic fruit.